Pastor Mark A. Garcia, Ph.D.
Pastor Garcia is in his tenth year of ministry at Immanuel. He is husband to Jill and father of four children, and a native of Miami, FL with a Cuban-born father (who is a Baptist minister) and an American mother. He is the president of the Greystone Theological Institute and director of The Lydia Center for Women & Families. Dr. Garcia has been Visiting Scholar in the Faculty of History at Cambridge University and Senior Member of Wolfson College, Cambridge, and is presently Honorary Research Fellow at the University of East Anglia. 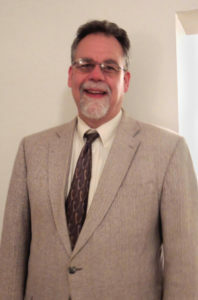 He is also an adjunct professor in theology at Westminster Theological Seminary (Philadelphia and London), Reformed Presbyterian Theological Seminary (Pittsburgh, PA), and Trinity School for Ministry (Ambridge, PA), and has been pastor of Immanuel Orthodox Presbyterian Church (Coraopolis, PA) since 2007. His is a member of the Society for the Study of Theology (SST), Society of Biblical Literature (SBL), and Evangelical Theological Society (ETS). Dr. Garcia has worked in recent years on horrendous evils and the atonement, the theological virtues, and the nature of Scripture. He has enjoyed research fellowships and awards in Edinburgh, Geneva, and Grand Rapids, MI, and maintains an active research and teaching program. He was an assistant editor (theological) for the five-volume Minutes and Papers of the Westminster Assembly: 1643-1652 (Oxford University Press, 2012), edited by Chad Van Dixhoorn, and has served in a similar role for a project on the idea of independency in the early modern era. He is author of Life in Christ: Union with Christ and Twofold Grace in Calvin’s Theology (Paternoster, 2008) and many journal articles and essays, and is researching the theological ontology of the feminine in relation to the biblical divorce and household texts. In his free time, Dr. Garcia enjoys literature, music, sports, and wine – especially red “left bank” Bordeaux. He is a member of the Guild of Sommeliers, and occasionally studies for the Certified Specialist of Wine exam. Mr. Jonathan Stark has been serving as a ruling elder at Immanuel since its founding over ten years ago and has served as an elder in Christ’s Church since 1988. He is a highly regarded English, Bible, and French teacher at Robinson Township Christian School and a founding board member of Greystone Theological Institute. 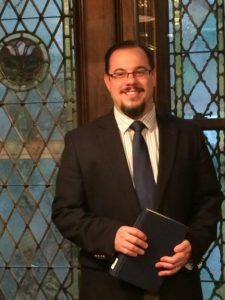 Jonathan holds a Bachelors Degree in English Literature from Calvin College and Masters Degree in Biblical Studies from Westminster Seminary. Jonathan and his wife Charlotte have one college-aged daughter.